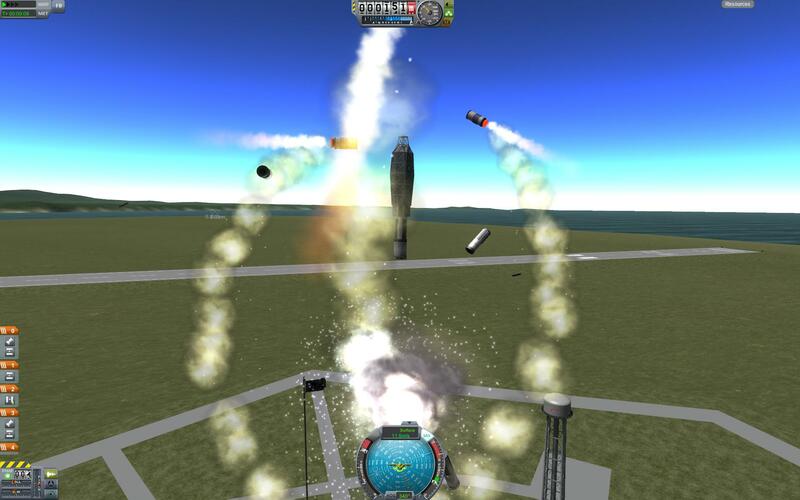 A mod rocket called Copper 1 Launch. Built with 63 of the finest parts, its root part is batteryBank. This is the Copper 1 resupply module mounted on a Copper 1 rocket. Same launch procedures as Copper 1, just set it to a launch to rendezvous with the station, and lower periapsis a little to arrive within a few days. Both first and second stages are recoverable, and second stage recovery will be attempted after leaving the resources taken to the station at the station, or leave the module connected to the station. It requires ~25 units of monoprop to deorbit, so leave any extra monoprop at the station.